Many people's memories are locked away until a door to them is opened. As life progresses is it not a pleasure to share with others the joy or sorrow of recollections? Bury St Edmunds Memories is a key that helps to unlock so many of those portals. 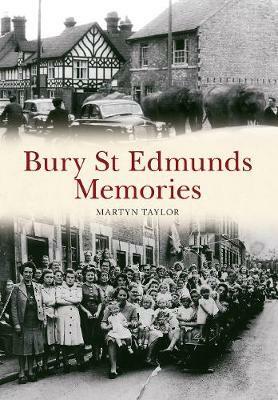 Following on from `Bury St Edmunds Through Time' and `Secret Bury St Edmunds', this is a book to stimulate conversation with friends and family about the good and the bad times. These are stories that will have you saying `I remember that', `I remember him' and `really was that so long ago?' However if you are not a Bury person it will shine a light on some of the dimly lit past and show you what a rich and varied town we live in. Poignant and pithy, funny but truthful, these are reminiscences of over seventy people from all walks of life that have contributed not only their experiences but some of their photographs as well.